The RCPCH has now urged ministers to consider a ban after they consulted on more measures to restrict promotions on foods high in fat, salt and sugar, according to The Times. 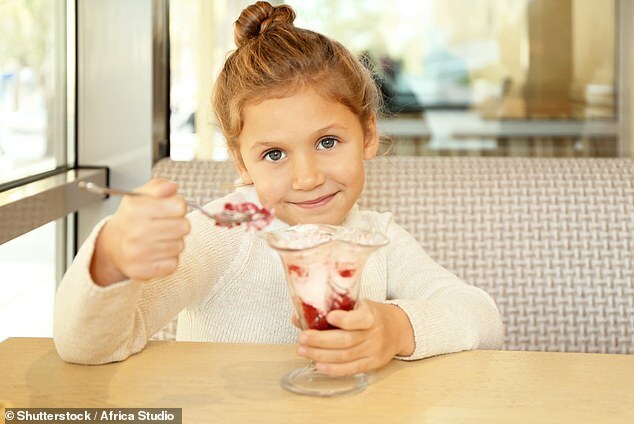 Max Davie, the RCPCH’s officer for health improvement, suggested that families often give their children the dessert because it is value for money. Last year 26,000 under-tens were taken to hospital with rotten teeth. Being overweight increases the risk of major health problems including type two diabetes. The RCPCH recommendations come after it was revealed in January that British children consume 22 stones (140kg) of sugar before the age of ten. From the age of two, children are consuming an average of almost 2oz of sugar – 52g – a day. This is more than twice the recommended daily maximum. Children are exposed to unhealthy food messages every day – half of television food and drink adverts seen by children are for unhealthy items or for fast food restaurants, according to research by the Institute for Fiscal Studies. Evidence shows that exposure to food advertising can have both an immediate and longer term impact on children’s health by encouraging them to eat both straight after seeing the advert and altering their food preferences. Strict new rules came into effect in July 2017 banning the advertising of foods that are high in fat, sugar and salt in children’s media content, including online platforms. Junk food adverts during children’s television programmes have been banned since 2007. But the IFS found 70 per cent of TV campaigns for products high in fat, sugar and salt or restaurants and bars were now screened before the 9pm watershed. In a major crackdown this year, the government implemented bans on two-for-one deals on junk food and adverts on London’s public transport. Consultation on the latest phase of the childhood obesity strategy – including a ban on junk food advertising before the 9pm watershed – is already under way. Calorie content in ready meals, sandwiches and dishes served in restaurants must be cut by 2024 under the Government’s plans. And latest figures suggest food manufacturers have cut sugar levels by an average of just two per cent, against targets of five per cent.